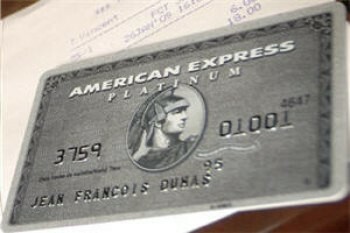 The American Express Platinum charge card offering differs from country to country. Whilst the cards look the same wherever you go (unless you turn them over) you receive different benefits depending on where it is issued. These benefits do not always apply to holders of American Express Platinum cards issued in other countries. Of course, when the cards look the same, it is easy to pass them off. Some other benefits are designed for global Amex Platinum customers but, for some reason, are not promoted in the UK. This means that you can get additional airport lounge access benefits above those officially offered by Amex UK. You receive 2 Priority Pass cards, each of which admits two people to the 1,000 airport lounges in the Priority Pass network. If you issue the 2nd card to your partner, this allows a family of four to access a lounge. You can get unlimited lounge visits with your card. The Priority Pass website here has a list of all of the lounges you can access – you are very likely to find one wherever you are travelling, including all four Heathrow terminals. Lounge access with Delta. If you are flying with US airline Delta, your UK-issued Amex Platinum card gets you (but no guests) access to Delta SkyClub lounge. I don’t think this allows you to use the Virgin Clubhouse in Heathrow Terminal 3, however – only Delta-branded lounges. There are some other Platinum lounge access benefits which you can access. It isn’t clear if these are meant to be accessible for UK cardholders or not, but readers regularly get access to them. Access is complimentary for the Basic Platinum Card Member and one guest only. The Basic Platinum Card Member and guest must be travelling with Virgin Australia domestically. Access is to Virgin Australia-branded lounges in Australia only. Name on boarding pass must match the name on Platinum Card. The Platinum Card Member and guest must present his or her valid Card and same-day boarding pass (containing your Virgin Australia Velocity Frequent Flyer number and status) to Virgin Australia lounge agents. Guest must be travelling on same Virgin Australia flight and present boarding pass. All access is subject to space availability. This benefit is subject to change. It isn’t clear why it says that your frequent flyer details must show on your boarding pass although I know people who have got access without this. Airspace is a small network of independent US lounges. As you can see from their website, you get free admission for yourself and TWO guests by showing your Platinum card. A HFP reader recently got access with his UK Platinum card, which may or may have been an error but it did work! Airspace lounges can be found in New York JFK Terminal 5 (JetBlue), Cleveland and San Diego. As I have mentioned before on HFP, American Express is currently rolling out its own network of airport lounges in the US. Despite being call Centurion Lounges, they are accessible by anyone with a Platinum or Centurion Amex card. You are allowed two free guests. As per this website, you can find Amex Centurion lounges in Dallas, Houston, Las Vegas, New York (LGA), Miami, San Francisco and Seattle. Philadelphia and, interestingly, Hong Kong are listed as ‘coming soon’. American Express also operates 10 other lounges globally. Full details are here. They are in Mumbai, Delhi, Mexico City (I have been to this one), Buenos Aires, Monterrey (Mexico, not CA! ), Sydney and Toluca. These are accessible by Platinum cardholders from any country – guest policies vary by lounge. As per the comments below, Amex – in conjunction with its local issuer Bradesco – has a network of lounges in Brazil. These can be accessed with a Platinum card or, it appears (my Portuguese is a bit ropey) a Gold card. Full details, in Portuguese, can be found here. Amex Platinum cards issued in Hong Kong – but which look very similar to the UK version – can be used to access a large number of Plaza Premium airport lounges. You can learn more here. Most Plaza Premium lounges are in Priority Pass, which means that you can enter anyway by using the Priority Pass card which comes with Amex Platinum, but this is a fall back option if you don’t have your Priority Pass with you. As you can see, American Express Platinum cardholders get a wide range of airport lounge benefits – many of which are not actually mentioned in the literature sent out by the UK team. My full review of Amex Platinum is here. Rob, maybe a permanent article on lounges and where you can get access with UK cards and what “works” elsewhere. And then keep the comments open of success/failure etc. Useful article this. some advice is needed for the pickle i have gotten myself into. In a blind panic i booked 4 business class seats LHR-MIA in August returning JFK-LGW when i saw the miami availability using two companion vouchers. I was hoping for a last minute change for the JFK flight to another florida airport to avoid the connection flights to JFK. To avoid this hassle i was prepared to fly home from Tampa economy but this is where all the trouble has started. I was told as the tampa flight is in a different zone to the jfk flight the whole ticket would have to cancelled including the Miami leg. I was then told that there is no guarantee that the Miami tickets would drop into the system again thus possibly leaving me with no flight out. I asked whether I could change the return leg when i was out in Florida and was told i couldn’t as it is a different zone. They said if I attempted to do this the flight would be cancelled with a tax refund but not the avios. 1. wait for last minute availability a few days before the miami flight to see if another 4 business tickets appear for florida and if so there is my back up in case the miami tickets don’t drop into the system. 2. Just book the connections now for JFK. I didn’t know you could book 2 different zones on the same booking? Or did you do it by phone? I’d book the connecting flight and have a couple of days in New York on the way back. I booked by the phone not realising this issue. To be honest NYC will probably be a welcome break from the Disney madness! i can only comment on my experience when BA gave the same advice when i cancelled a redemption ticket which was in 2 different zones and i wanted to change the date on one part. So, when i cancelled it on the phone the availability immediately came back on the system, so did my 241 voucher and the avios. Just got back from doing something similar – we flew Heathrow to Atlanta on 2 X 241, paid cash for AA flights Atlanta to Miami. We then drove Miami to Florida and the potentially interesting bit was that we used avios for 4 flights from Orlando to JFK with AA, back into Gatwick. I cannot remember the avios cost of the Orlando to JFK flights but I fondly remember paying only a very small tax amount and it was a lovely flight. Might be worth exploring the flights to JFK? Just to be clear – you drove from Miami to Orlando, then you flew on a redemption to JFK where you picked up the return leg of your 241 on BA? Yes, correct. We took in Cape Canaveral and dipped into the Keys. 4 hour drive to Cape Canaveral and a further 1.5 hours across to Disney. These zones can catch you out. Seattle and Vancouver BC are in different zones although only c120 miles apart, although those routes are less popular and we are retired so it was not a big problem. In your case I would book the NYC flights as they may go up nearer the time (this advice is worth what you paid for it). Same here re zones. Was trying to change from KUL to HKG for our 241 return leg, to be told only SIN is in the same zone. Which is impossible to change to. Also if they rebooked it, they couldn’t even hold the original o/b seats either. Annoying that zone rule, needs more flexibility. The Amex lounges in Mexico City are not good. The centurion lounges in the US are pretty great though. I am expecting a refund to my PRGC but it is taking some time in processing. If I upgrade from PRGC to platinum do I retain the same card number or is it different? Does my card balance gets carried over while I am still in between billing cycles or do I still keep PRGC until next statement is produced? Different number but balance gets carried over immediately. Not sure what happens to refunds though. Back in December my wife and I were flying back from Sydney. We both have an American Express Gold Card (UK), and thought we will try our luck in the American Express Lounge. We assumed we were ineligible (at the very least may need to be platinum card holders). When we went to the desk the lady looked at the back of the card and said it was eligible and that the card member plus 1 guest are allowed in (so no need to use both cards). It was a great unexpected surprise to end our trip and it was a really good lounge with good food and beverage offerings.